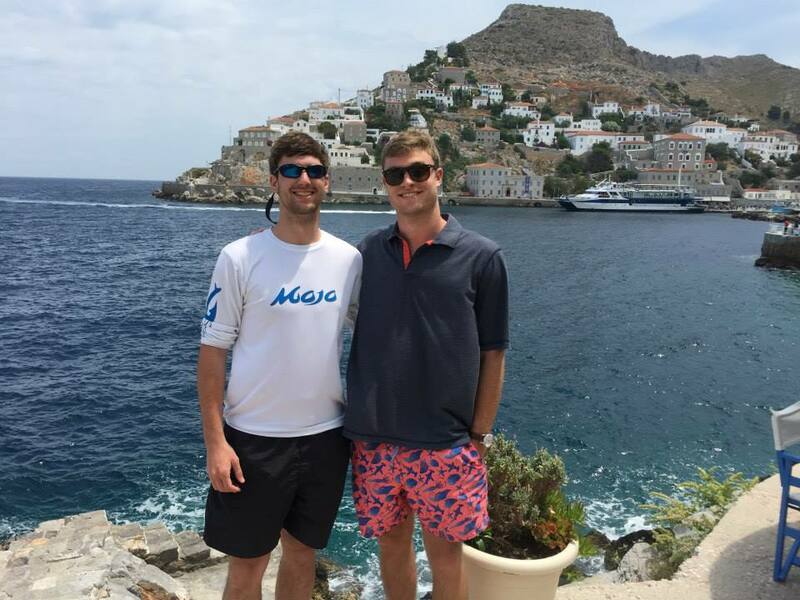 Chase Porter, a senior at the University of Mississippi, made the most of his time in Athens and even had the chance to connect with locals! Our time in Athens was one I will remember for the rest of my life. The friendships that blossomed and the exploration that took place was the experience of a lifetime and I can’t wait for what’s to come. The first night we arrived at the hotel was one of anxiousness and a tad bit of fear. Seventy-one girls are a little overwhelming. The other two guys and I immediately bonded naturally and we decided to go find a spot for food and a beer. We rounded the corner and found ourselves at the very unique bar called Gazi College. This is when our lives were changed forever because we had met our first Greek friend, Benjamin (aka Benji). He is a Greek native but one of his parents is Japanese, which makes for an interesting mix. Benjamin informed us of all the cool spots and opened our eyes to this foreign culture that we had been tossed into. Benji also showed us some of the most genuine hospitality I have ever received and I will forever be grateful for meeting him. He is a friend and a one day when I return to Greece I plan on walking back into Gazi college and giving him the traditional Japanese bow that he would always give to us. My favorite part about Athens, Greece, was not just the beautiful sites and cuisine but the friendship that I have made with Benjamin.